A fixed-rate mortgage offers a rate that stays the same over the life of the loan. This type of loan generally has a longer term and may be good if you plan to own your home for a long time. An adjustable-rate mortgage offers an interest rate that adjusts based on market conditions (it goes higher or lower) after a specified time period. This type of loan may be good for people who need an initial lower monthly payment. Some loans have longer terms (from 15 to 40 years) that typically work well when you plan to stay in the home for a long time. Other loans have lower interest rates for a shorter term, and may be attractive if you plan to move in five to seven years. How much can you afford as a down payment? 20% of the cost of the home is standard for the down payment on a conventional loan, but there are loans that allow you to put down as little as 5 or 10%. The higher your down payment, the lower your monthly mortgage payment will be. CONSIDER: How much can you realistically afford as the down payment? What is the general price range for other homes in your neighborhood? How many homes are for sale in the area? How are they priced? Do you have a list of comparable properties? Are there other neighborhoods that catch your eye? How are the homes in these other areas priced? CONSIDER: Which area/home features the best combination of location, quality, and cost for you. Which of the following is more important to you? To have low monthly payments? To pay less over the life of the loan, even if monthly payments are high? Some loans offer lower monthly mortgage payments over a long period of time. Other loans are designed to be paid in a shorter time frame, but have higher monthly payments. CONSIDER: Which situation would work best for you? It helps to be clear about your financial goals and resources. 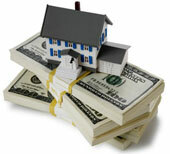 Mortgage lenders will look at your credit history and credit score to determine your track record for paying off debt. CONSIDER: Do you have a good credit score? Review your credit report to find out.